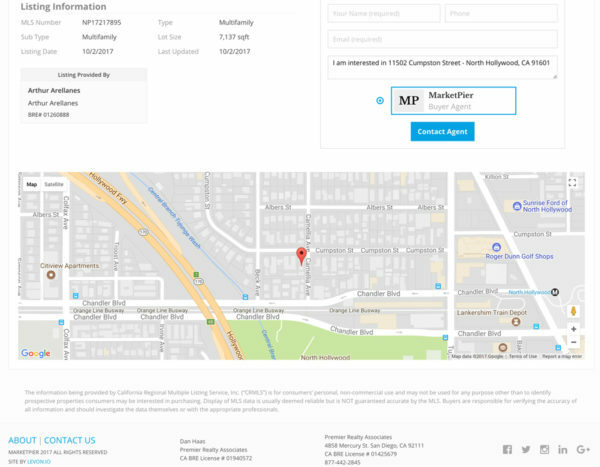 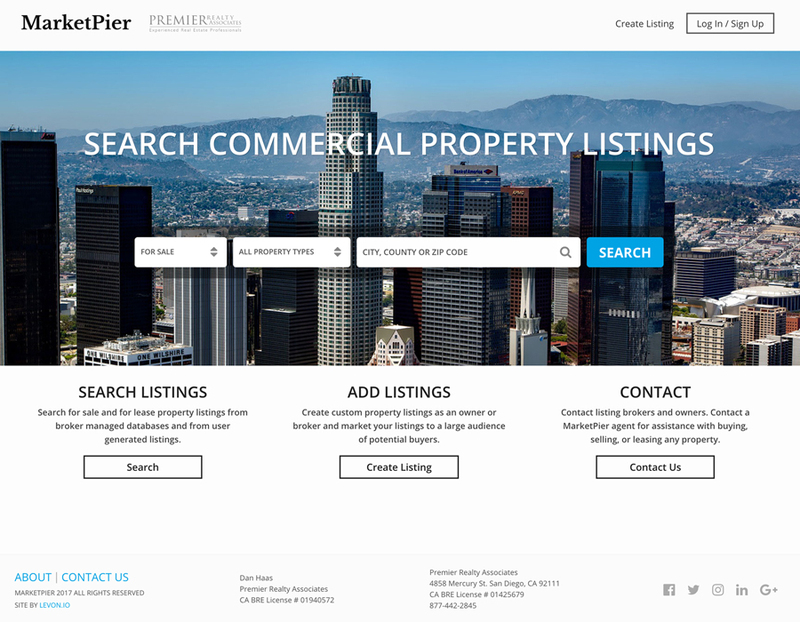 MarketPier is a commercial real estate marketplace where users can search and post commercial real estate listings. This site was developed as a custom WordPress theme. 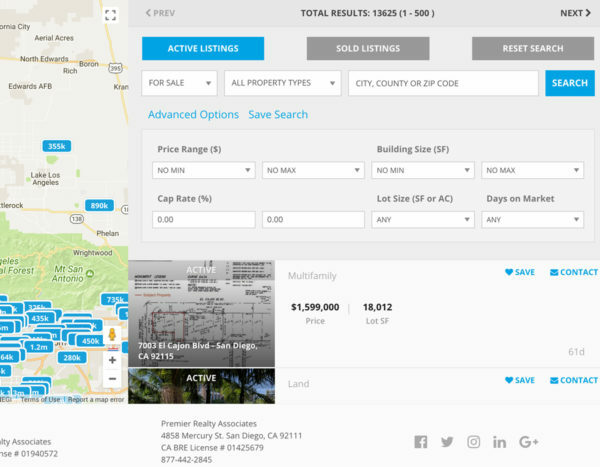 It combines IDX real estate data with listing data manually entered into the site (by users and administrators) to create one interactive real estate search. 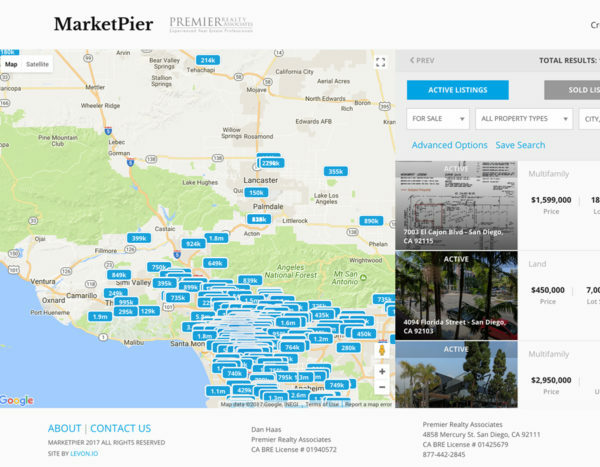 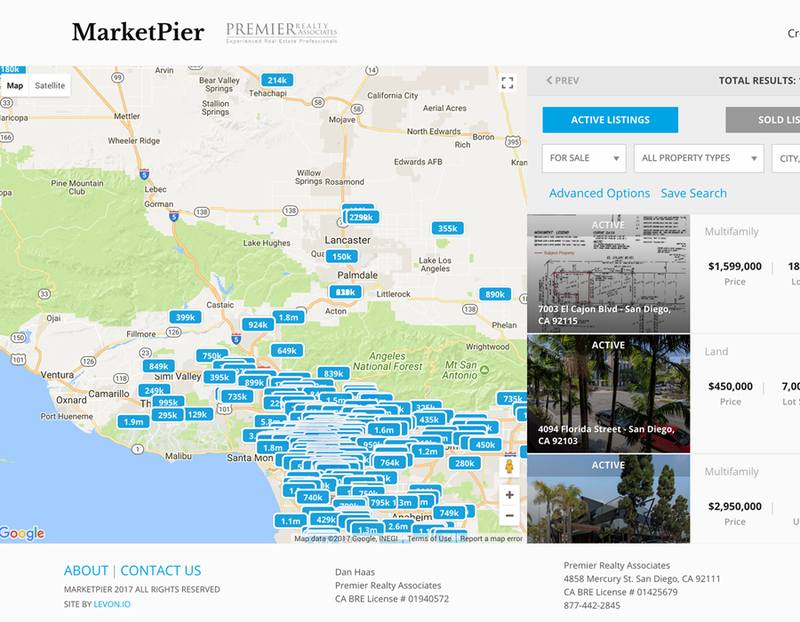 MarketPier integrates with the Google Maps API to output maps showing the locations of many properties. 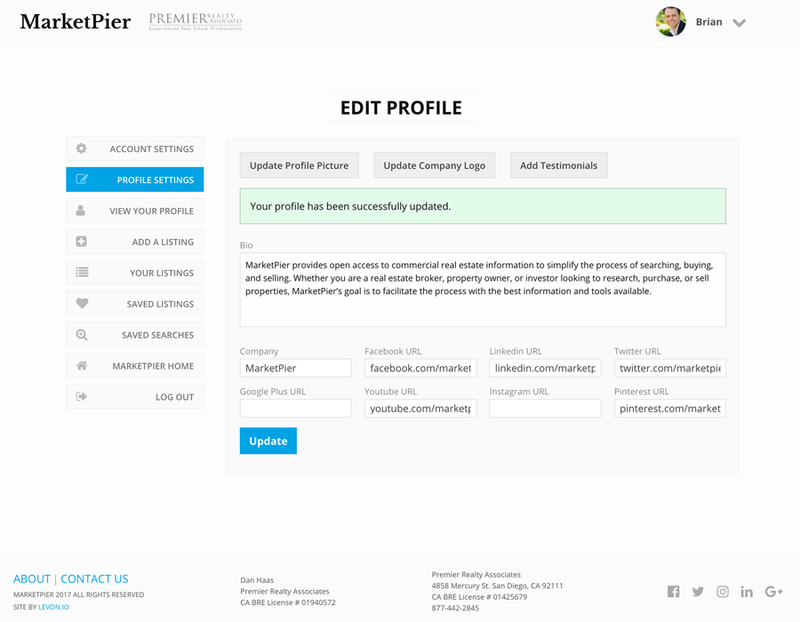 The site also allows users to create profiles and manage their personal information, including saved listings and searches, adding headshot and company logo photos, and managing a publicly accessible profile page. 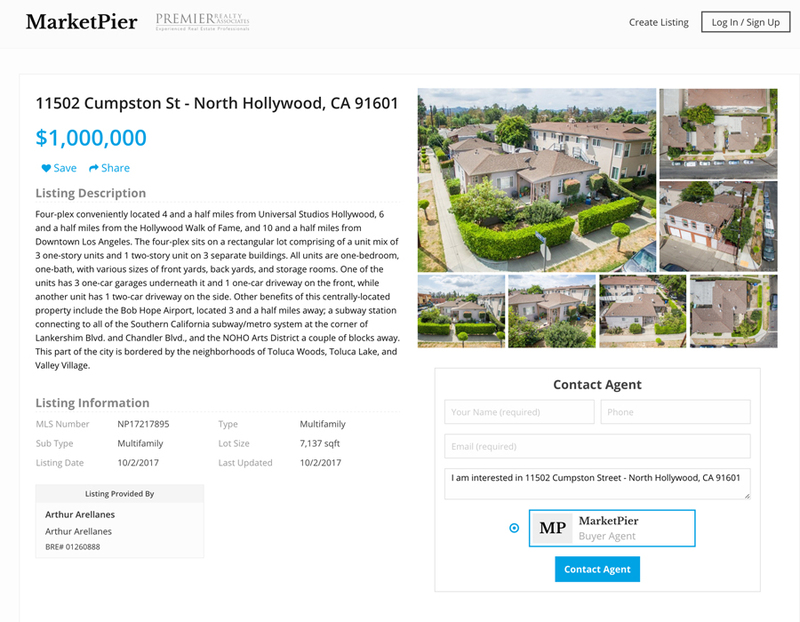 MarketPier makes extensive use of the Advanced Custom Fields Pro plugin to allow the site administrator to control the content and images of the site. ACF forms are also used on the front end to edit listings and user account settings.